For the past decade, Parkinson’s disease researchers have relied on the experimental equivalent of using a sledgehammer to tune a guitar to test new therapies for the disease. This may be a reason clinical trials of promising neuroprotective drugs fail. But, in new research published today in Nature Parkinson’s Disease, University of British Columbia researchers may have found the ideal tool for the job. 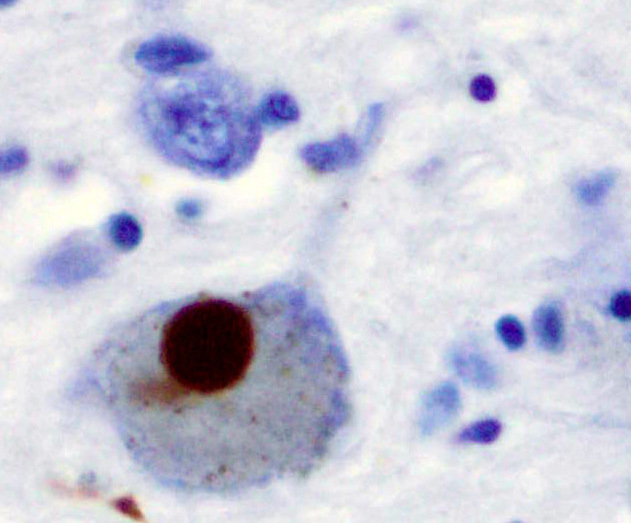 Parkinson’s disease symptoms are associated with the progressive loss of dopamine-producing nerve cells. Over time, these cells effectively become out of tune, and eventually they stop working altogether. Until now, the best available experimental models of the disease were based on flooding the brain with alpha-synuclein—a protein in the brain that, when it accumulates abnormally into clumps, is linked to Parkinson’s—or using neurotoxins to destroy dopamine-producing cells. These conventional models exhibit the classic motor and behavioural symptoms of the disease, which is why they have been widely adopted by the Parkinson’s field, but the sledgehammer approach to inducing the disease means the cells die—the guitar is smashed—before any of the subtle changes in the tune can be measured. According to Parkinson Canada, the disease affects about 100,000 Canadians and 7 million people worldwide. A great many patients are put at elevated risk for disease because of mutations in a gene called LRRK2—a discovery Farrer and colleagues made in 2004. So far, no LRRK2-specific drugs developed as a neuroprotective treatment for Parkinson’s have achieved FDA approval for the treatment of Parkinson’s disease, and some companies have abandoned their LRRK2 programs due to potential side effects. The new model, developed by Farrer and his team could offer the precise tool that researchers have long hoped would deliver the impact of LRRK2 inhibitors and other disease-modifying drugs. The model—known as a VPS35 D620N knock-in (VKI)—induces the biology of a disease-causing gene rather than the symptoms of the disease. Although the model shows no behavioral signs of Parkinson’s, their new study found the changes in biology are clear and elegantly precise. As a tool for preclinical research, it gives scientists something to measure and, ultimately, to fix with promising neuroprotective drugs. The lab’s recent work to characterize the VKI model shows it is critically important in dopamine neurotransmission, where it regulates the activity-dependent recycling of the dopamine transporter. While the team was the first to suspect a relationship between LRRK2 and VPS35 in 2012, when they initially discovered the role of VPS35 in Parkinson’s, it is novel to observe activity-dependent changes in dopamine release and reuptake due to a single point mutation.